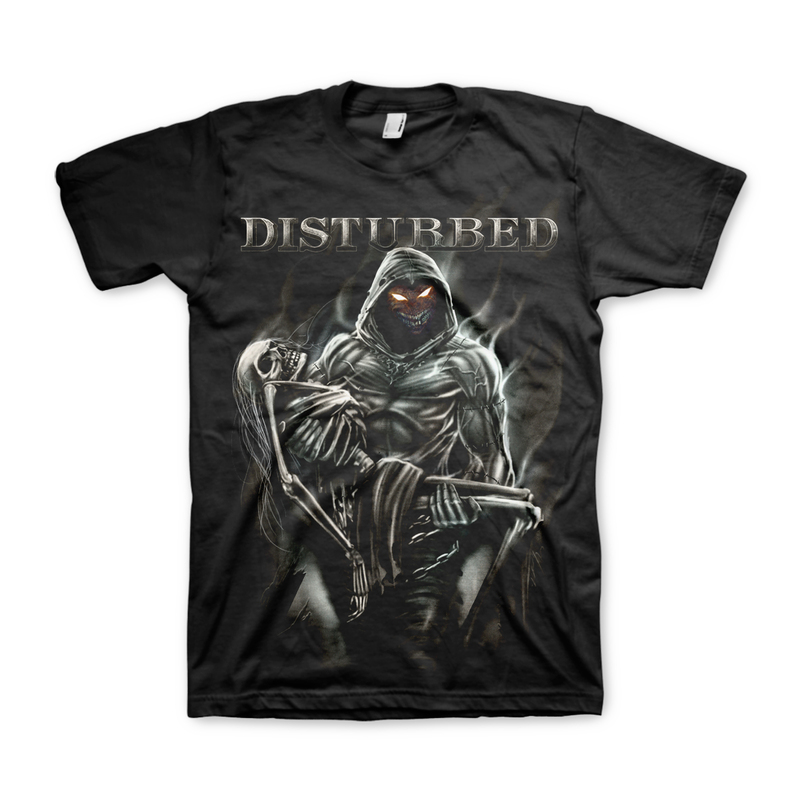 Black T-shirt with large front print of the Disturbed logo and Lost Souls design of The Guy carrying a female skeleton. Nice shirt, cool graphic and thank Cthulhu you have them in fat guy sizes. Really nice shirt, good quality, awesome graphics, fits great. Loved this shirt. Graphics were clean and crisp and looked great. So glad I purchased this shirt. Shirt size was perfect, Quality of the print was clean with none of the shore showing through the print. The print stood out and could been seen at a distance. Shirts were shipped on time and arrived on time as well. Washed the shirt a few times and no issue with the shirt shrinking or the print fading.